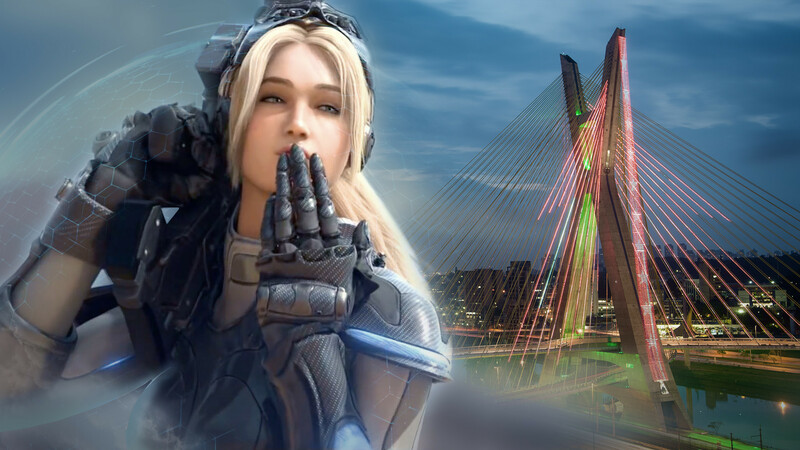 World Electronic Sports Games in North and South America comes to Sao Paulo on October 21st - 23rd. StarCraft 2 players from USA, Canada, Mexico, Brazil, Uruguay, Colombia, Peru and Argentina will fight for $27k+ prize pool as well as for six $402k Global Grand Finals spots. The tournament will take place in Mega Arena and four eSports titles - CS:GO, DotA 2, HS and SC2 - are featured as always. Friday, Oct 21 6:00pm GMT (GMT+00:00) - Group B matches. Saturday, Oct 22 8:00pm GMT (GMT+00:00) - Group B matches. Sunday, Oct 23 4:30pm GMT (GMT+00:00) - Playoff. It's an interesting rag-tag group of English casters you got going on there. Nice to see Wardi and PengWin cast something this big. It's 12 hours with several breaks for 15 best of 3s. Unfortunately the games won't probably run as smoothly as we'd like them to due to same HearthStone/StarCraft 2 mixed stage setup that we had in Kyiv. who are the caster for the spanish stream? Unfortunate to see that Xenocider pulled out. I'm surprised no one else was able to replace him. I'm so sad they're not in the same group. I wanted to see the mess that would form when the casters tried to say their names in the middle of an intense battle. WESG doesn't bother with replacements. In APAC there were no participants for the Philippines qualifier so the spot in the qualifier main event was just removed entirely. You know, instead of being a wild card for all the other players who didn't manage to qualify. Honestly this is not 100% correct as we've replaced AqueroN and NaNiwa in European finals. The problem is that we're allowed to replace LAN attenders only with players from the same country which was not possible in Xeno's case as we didn't have enough time to get VISA for replacement player. We're not responsible for APAC qualifiers but I guess that the same rule was applied there. No players from Philippines - no LAN spot. why there is no portuguese stream? specially when it is an event in Brazil. No local broadcasters approached us about possibility to stream the event as a community cast. We're not interested in hiring additional local casters because that's just not worth it in terms of viewership. Do casters need to be on the venue to cast or can they do it from home? and if they are allowed to cast not in the studio can they still apply? I am really sad to read the answer about the brazilian cast. We've just finished Copa America in Sao Paulo, last friday, and we had a really good feedback from the community. As a caster, it saddens me that, we have a good event in our country, but to be able to cast, itll be as a community caster and via clean feed. So yea, we didnt approach you, because a professional company should research the scene. You have 2 good casters near the event, Pedroca and Barba, you wouldnt even pay hotel or transportation, and you let it go. As an enthusiast to try and develop the local scene, this was not a good approach in my opinion. Sorry that you dont share my same thoughts. As a caster, it saddens me that, we have a good event in our country, but to be able to cast, itll be as a community caster and via clean feed. So yea, we didnt approach you, because a professional company should research the scene. You have 2 good casters near the event, Pedroca and Barba, you wouldnt even pay hotel or transportation, and you let it go. As an enthusiast to try and develop the local scene, this was not a good approach in my opinion. Sorry that you dont share my same thoughts. So you didn't approach us because you thought that we had to approach you first while we didn't approach you or any other broadcaster because we're not familiar enough with the local scene. That's unfortunate. We are always open for community broadcasts as we had French, German and Polish streams during the European part of our event and we're also featuring Spanish community broadcast for the American event. All those broadcasters approached us about this possibility and we gladly provided them with it. If any organizations or community broadcasters are interested in covering American LAN event, we're still able to make it happen. I specifically didnt approach you, due to the fact I, Sefirofe, was not going to be able to cast, since I would not be able to be in Sao Paulo or give any support this week and I learned about this event last week.But I couldnt stay quiet when I saw your justification that you wouldnt provide local portuguese cast because of low viewership numbers. Maybe something will still be arranged, we'll see. Kelazhur should have this in a bag, but he's playing really sloppy. Cham is a literal god.